Climbing South Sister is a popular activity in Central Oregon...in the summer. Attempting a summit bid of the 10,358 foot peak in fall is less popular with weather that is less predictable. Shane & Drake really wanted to give it a shot. We disembarked from Devil's Lake Trailhead and began the 4,900 foot, 5.5 mile climb to the summit. Our first goal was to get to Moraine Lake. 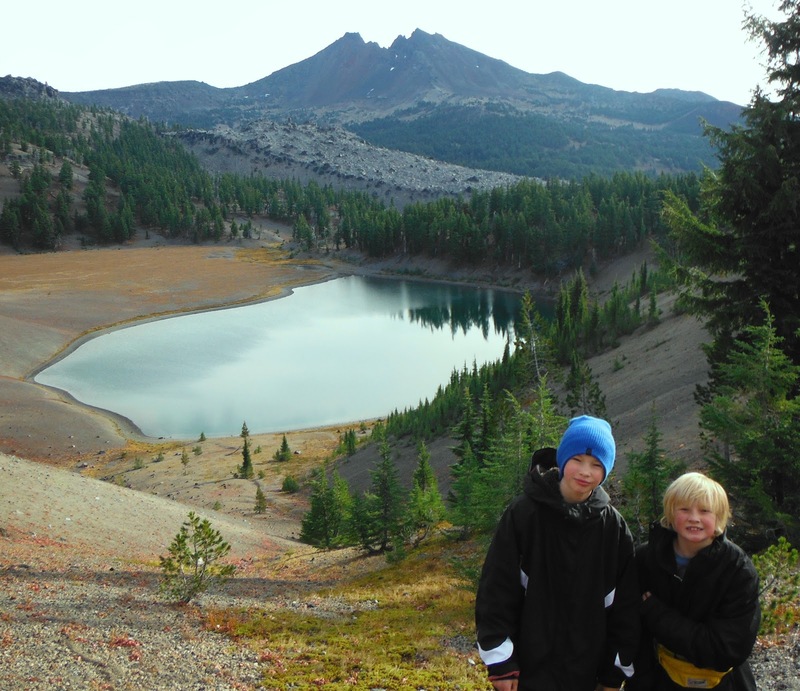 With kids under 12 it's crucial to have the short term goals on a hike. We worked toward reaching each plateau, the next cliff, the knoll. They stay interested and excited. The next morning with were greeted with a fall dusting of snow atop South Sister. The weather, particularly the wind was crazy. While we couldn't summit due to zero visibility and high winds, we did get to a 9,000 foot unnamed peak above Lewis Glacier. I am so proud of the boys for the great hike and adventure we shared.